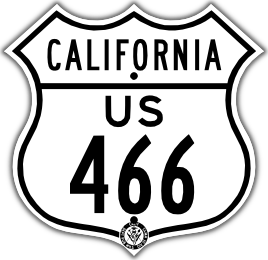 California shield with MUTCD fonts. 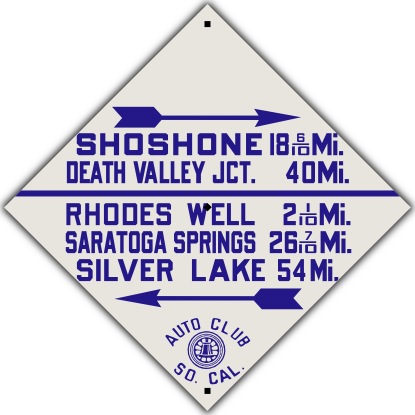 This is the classic cutout U. S. route marker with the colored Auto Club logo. Available with any route number, and either logo. 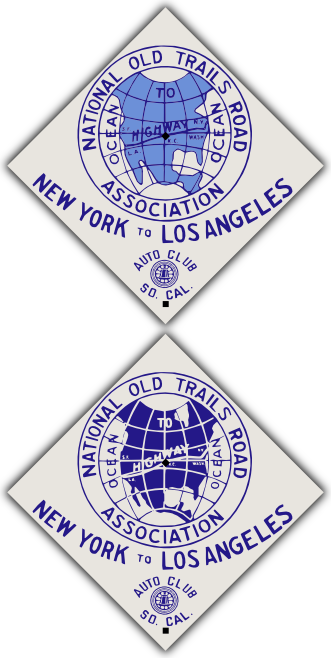 Cutout U. S. route marker with the Auto Club logo. 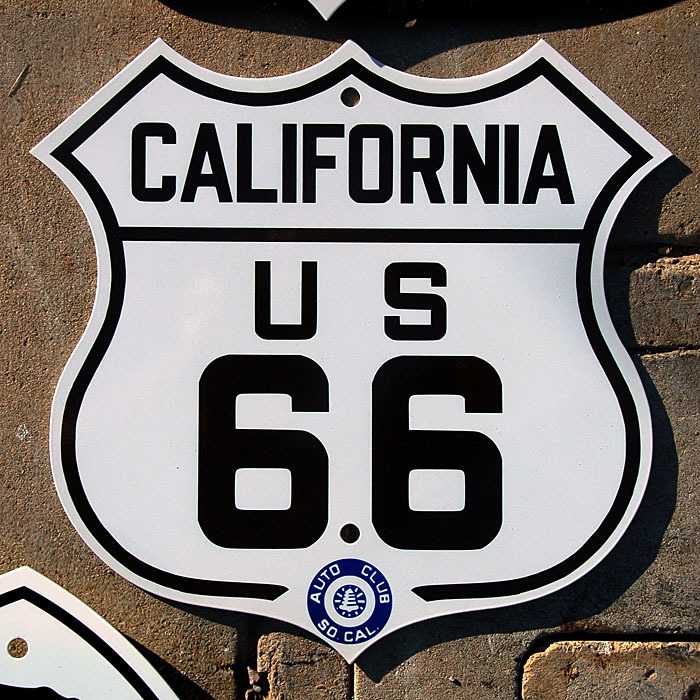 Cutout U. S. route marker with the Auto Club logo, and either glass cateye or plastic Stimsonite reflectors. The sign is 18 by 18 inches. It is porcelain enamel on steel, just like classic signs were made back in the day. 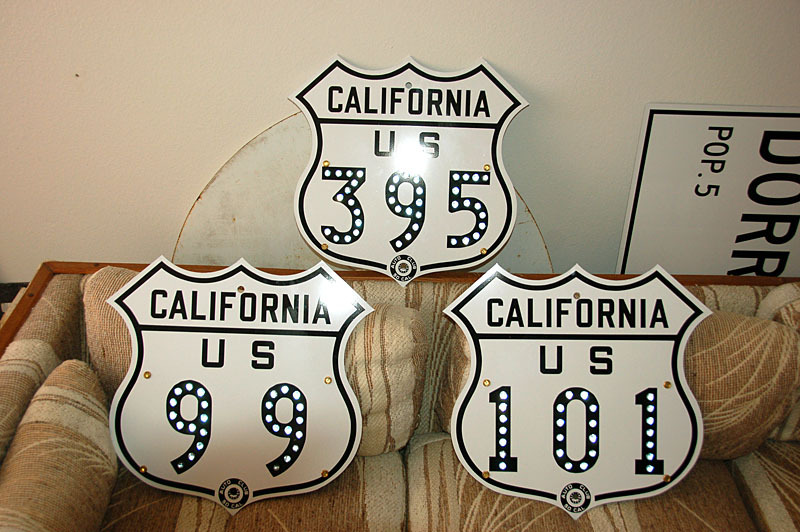 Available with any route number, logo, and reflector style. 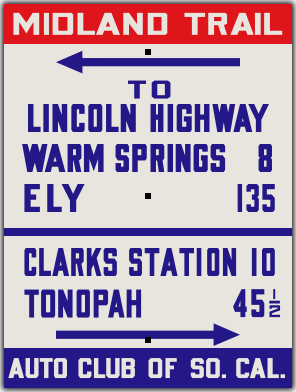 Cutout U. S. route marker with the Division of Highways logo. 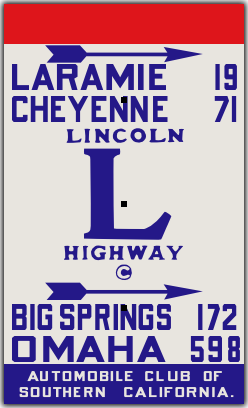 Cutout U. S. route marker with the Division of Highways logo, and plastic Stimsonite reflectors. 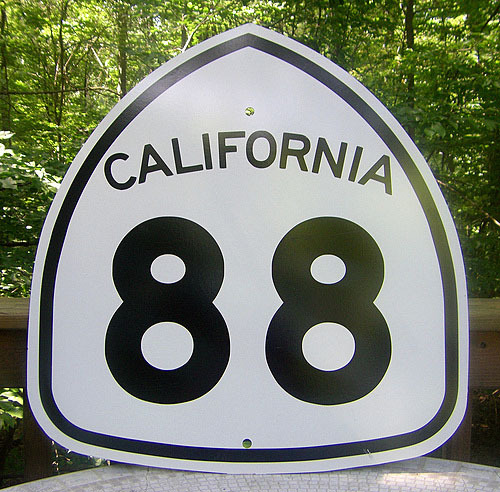 California uses this style of highway marker to the present day. 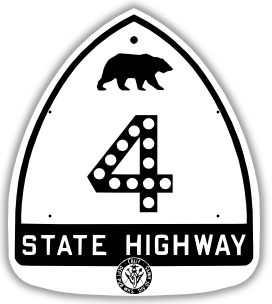 Cutout state route marker with the classic bear and Auto Club logo. The sign is 15 by 17 inches. It is porcelain enamel on steel, just like classic signs were made back in the day. 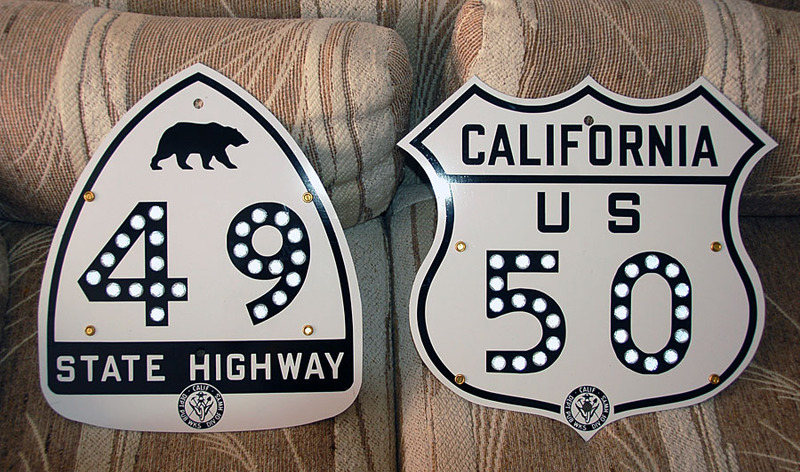 Cutout highway marker with the bear and Auto Club logo, and either glass cateye or plastic Stimsonite reflectors. The sign is 16 by 18 inches. It is porcelain enamel on steel, just like classic signs were made back in the day. 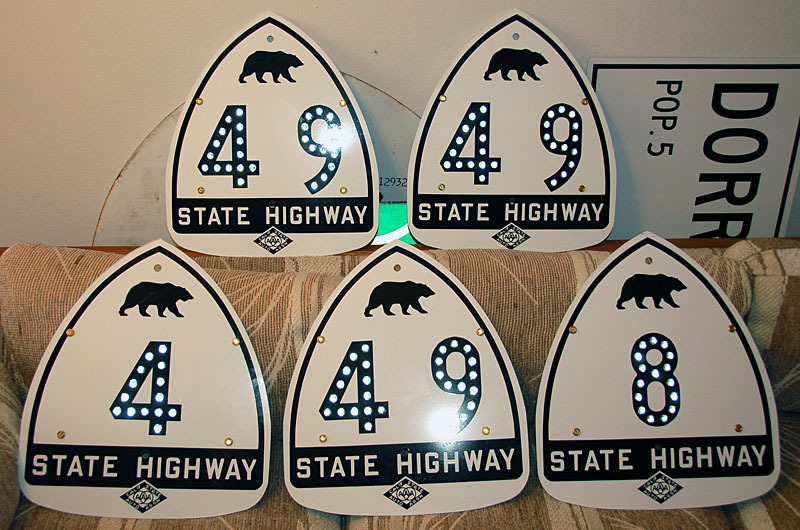 Cutout highway marker with bear and Division of Highways logo, and plastic Stimsonite reflectors. 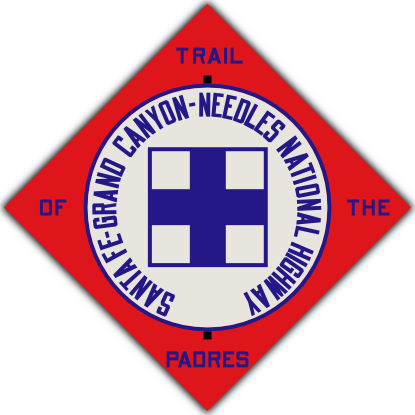 This white spade marker was used between 1957 and 1964, between the bear style above, and the green spade below. 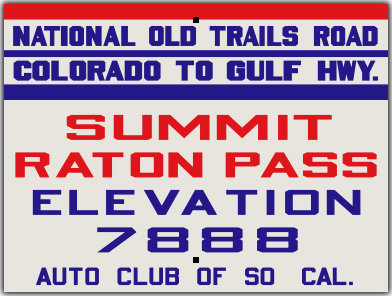 The sign is available in various sizes: 17x18 or 23x24 for the narrow style, and 21x18 or 28x24 for the wide style. It is printed using cutting-edge technology, to replicate accurately the look of classic Silver Scotchlite sheeting. Available with any route number, in thin or bold font. This green spade has been used in California since 1964. 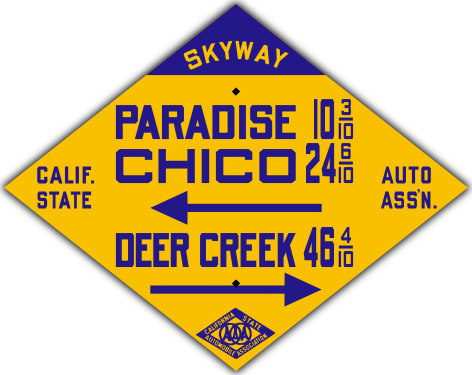 This style of guide sign was placed by the Auto Club of Southern California, the California State Auto Association, and the Division of Highways between 1948 and 1956. The sign is 36 by 18 inches. It is porcelain enamel on steel, just like classic signs were made back in the day. 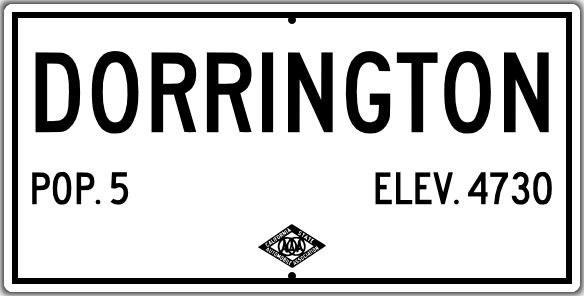 You specify the town name, we get the accurate population and elevation figures, from the 1940 or 1950 census, as well as the correct logo for the geographic location of the town.